Bendix is now making its advanced safety systems available for retrofit onto models where it was not factory-installed. Safety is no longer only for those that can afford new trucks. Bendix has announced its advanced driver assistance systems (ADAS) such as the Wingman Fusion and Wingman Advanced, can now be retrofitted onto older truck models. Systems available include the Bendix Wingman Fusion driver assistance system, Bendix Wingman Advanced collision mitigation technology, the Bendix VORAD (Vehicle On-Board Radar) VS-500, AutoVue 4G Lane Departure Warning (LDW) System by Bendix CVS, the Bendix BlindSpotter Side Object Detection System, and SafetyDirect from Bendix CVS. Additional technologies are slated for release throughout 2019 and beyond. Bendix will launch a website in mid-May to serve as the hub of the Retrofit Upgrade Program:www.bendixcvsupgrade.com. The site allows fleets and vehicle operators to identify which retrofit upgrade options are available for specific vehicle make, model, and year configurations. It allows Bendix to connect registered customers with a network of Authorized Retrofit Dealers and Distributors that can assist fleets in securing Bendix retrofit installation and support. 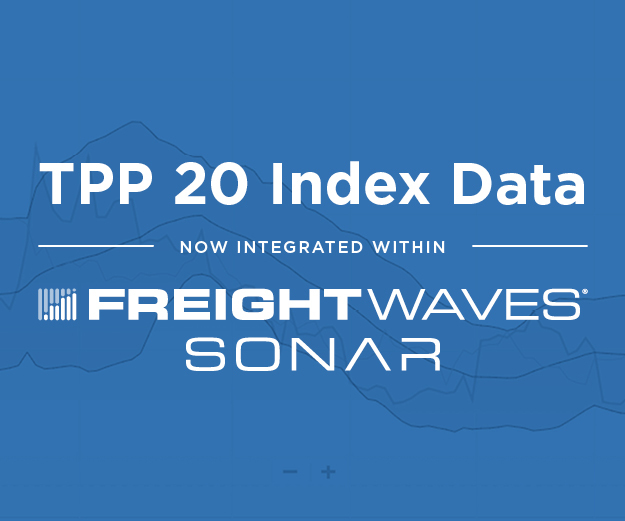 Detention time for drivers is on the rise again after falling below 150 minutes on average, as measured by FreightWaves’ SONAR (WAIT.USA) data. WAIT, which measures the average of the time a trailer spends at a dock either loading or unloading, is now back above 170 minutes for March. Last fall, the U.S. announced it planned to withdraw from the Universal Postal Union (UPU) unless changes were enacted, including allowing member countries to set their own postal shipping rates for packages weighing up to 4.4 pounds. The UPU was designed to make it easy to ship goods globally. President Trump believes the program is unfair to U.S. companies such as FedEx (NYSE: FDX) and UPS (NYSE: UPS) that must pay more to move goods than companies in other countries. Two-thirds of UPU member countries, though, must vote in favor of any change and it appears that only about 15 percent support the U.S. initiative, possible leaving Trump with a choice to make.